The world is starting to go nuts over QR codes. They are on packaging, posters, web sites, business cards and, well, just about everything. A quick scan using a free phone app and you are taken to a special site, view a video, get further information or register for more information to be sent to you in the future. 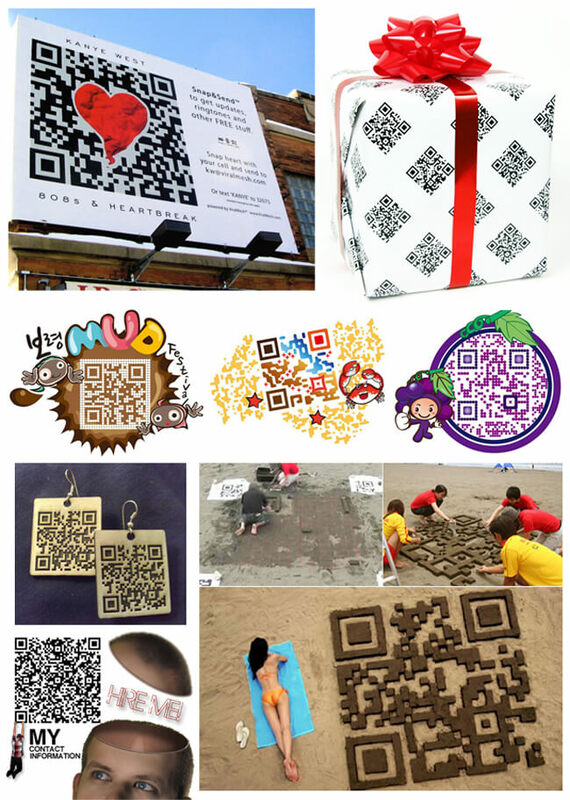 Some people complained that the little jumble of black squares looked like a jigsaw puzzle and were, “ugly.” In response, there were innovative entrepreneurs that figured out ways of designing prettier QR codes that held your company logo, images or type. Then someone decided they could create a prettier code altogether and called it the “Snap Tag.” While people liked the simplicity of the simple circle that could hold a logo inside or sit inside a message, it hasn’t really gone anywhere, probably because it’s not free, the same way a QR code is. Near field communication (NFC) is a set of standards for smartphones and similar devices to establish radio communication with each other by touching them together or bringing them into close proximity, usually no more than a few centimeters apart. Communication is also possible between an NFC device and an unpowered NFC chip, called a “tag”. NFC Has Been Around Since 2004! Well, it was patented in 1983 but standards were set in 2004. You may have used NFC technology since then without even realizing it. Do you commute and use a PayPass in your car to pay tolls without having to stop and make a payment each time you travel over a bridge or through a tunnel? Do you touch a monthly commuter pass card to a token box or turnstile when boarding a train or bus? Do you pay for your morning coffee by touching your credit card to a target on a cash register and then just leave? Do you “bump” your smartphone against someone else’s to exchange contact information? When you walk into work, do you have a badge you wave in front of a sensor to gain entry? If you do, you are using NFC technology. NFC devices can be used in contactless payment systems, similar to those currently used in credit cards and electronic ticket smartcards, and allow mobile payment to replace or supplement these systems. For example, Google Wallet allows consumers to store credit card and store loyalty card information in a virtual wallet and then use an NFC-enabled device at terminals that also accept MasterCard PayPass transactions. Germany, Austria, Latvia and Italy have trialed NFC ticketing systems for public transport. China is using it all over the country in public bus transport and India is implementing NFC based transactions in box offices for ticketing purposes. Looking to create a more interactive experience, the Museum of London teamed up with Nokia to create NFC-enabled apps. Visitors with NFC-enabled devices can learn more about various objects on display, buy tickets for future exhibitions, get vouchers for the museum’s shop and cafés, and Like or follow the museum on various social media platforms. Have you ever found that perfect parking space in a large city only to find you don’t have enough change for the parking meter? PayByPhone’s meter setup lets those with NFC phones tap the sticker on the parking meter to automatically launch the parking app, enter the amount of parking time they wish to buy, and have the fee charged to a credit or debit card associated with the mobile phone number. As a bonus, PayByPhone will even send a text message reminder before the parking period expires so that additional time can be purchased by phone from any location if necessary. With NFC “tags,” perhaps implanted in our thumbs, we could, in theory, become a cashless and keyless society (At CES 2012, Yale Lock demonstrated another use for NFC. The company had built special electronic locks that use NFC to lock or unlock doors. Holding your phone up to a pad on the door sends a signal from the phone to the lock. The lock disengages and you can get inside), despite the conspiracy theories that would come up. 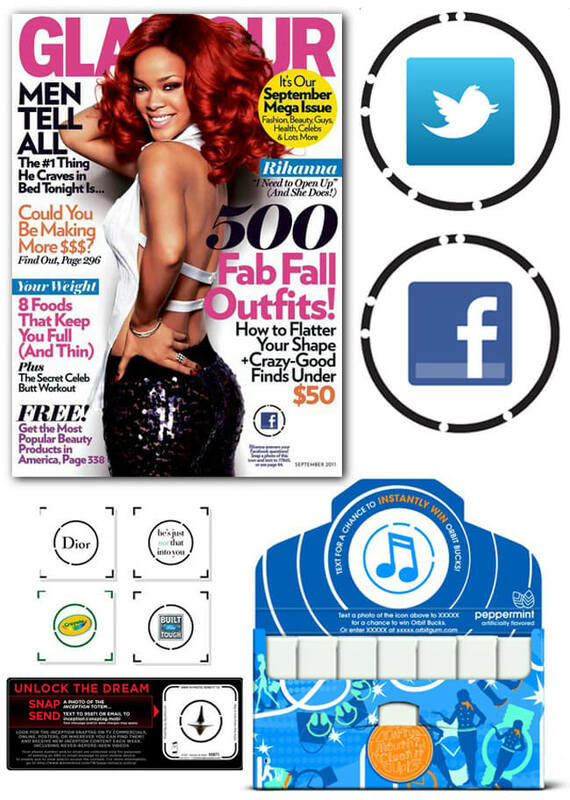 Effortless social media outreach, e.g., “Like” on Facebook, “Follow” on Twitter via NFC smart stickers in retail stores and printed material containing NFC chips. Like the cards you currently use to check into work (or open that locked front door) NFC works with receivers and transponders that can communicate, but only if the two parts are within a few centimeters of each other. However, placing that communication within a phone has some other, added benefits. The phone is a communication device, so it can receive clearance updates on the fly. For instance, if you’re locked out of Building B because you do not have access, an email to the security administrator could push an update to your phone, which would then update the NFC chip’s clearance information. In a matter of moments, you go from locked out, to checking in. There are three modes of operation for NFC. The read/write mode allows an NFC device to read a tag like the kind you’d find in a poster. The peer-to-peer mode makes it possible for two NFC-enabled devices to exchange information. This lets you do things like tap your phone to another person’s phone to exchange contact information. Finally, there’s the card emulation mode. This is what lets NFC emulate — or imitate — a smart card like the kind you use in public transportation or ticketing systems. It’s important to remember than NFC is a developing standard. It will evolve as time goes on. While the standard dates back to 2004, it’s still a young technology. Adoption of NFC has been slow in the United States — only a few smartphone manufacturers and retail organizations support it. In other parts of the world, notably Japan, it’s much more popular. Apple, surprisingly, has opted to not include an NFC capability in its new iPhone 5, much to the dismay, apparently from the tone of this article on the NASDAQ blog. Sticking with the tradition of disappointing the masses with the new iPhone , Apple has reportedly skipped the option of adhering to modern mobile payment standards, according to Reuters . NFC (Near Field Communication technology) is the chip that has been left out of the new iPhone’s setup. eBay’s Chief Executive Officer, John Donahoe, has jokingly referred to NFC as standing for “Not For Commerce,” and does not support the technology (along with many retailers and business owners that refuse to pay to upgrade their systems to support the mobile app). In response to the decision to not include NFC, Apple is developing an application called Passbook, which will serve as a loyalty program for consumers that hold the new iPhone, much like the digital wallet programs already developed by eBay, PayPal, Visa and Google. Tagstand could theoretically, depending on the whims of the tag owner, allow a consumer with an NFC-enabled device to touch his phone to a sticker to check in on Foursquare one day and view a promotional video or product page the next. The point is clearly to commodify NFC technology — to package it up, sell it to businesses and marketers, and make it consumer-friendly in the process. 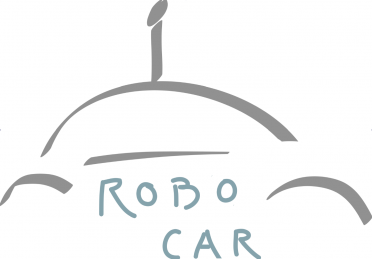 All of these programs aim to combine bank accounts, rewards programs and credit/debit cards together in both the online and physical storefront realm. NFC supporters did hope that Apple would include the chip in the new product, but the digital wallet war is a battle that will not be easily won, and those that hoped for the option will likely feel let down. Customers can purchase packs of stickers, and then use the Tagstand Manager to program — and reprogram as often they see fit — how those stickers function on objects in the real world. They can also track sticker usage. The technology may still be years away from where QR codes now stand but it’s probably a good bet that the iPhone 6 or at least 7 will cave to the emerging use of NFC technology. 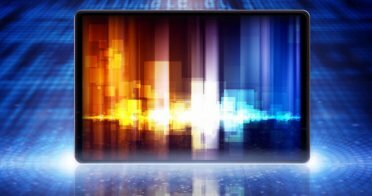 Will your business be ready to seamlessly slide into the technology because other smartphone manufacturers are ready to put it into use right now! NFC is the stepping stone Augmented Reality. It has the potential to completely change the way we digitally interact with the physical world. For an Ebay representative to condemn this technology, leaves me extremely concerned for the tech industry, just because it hasn’t been implemented practically to consumers. My theory for Apple leaving out the NFC chip it that they’re waiting for android to saturate the market allowing Apple to have more profits on the iPhone 5S. The only way Apple is making the iPhone 5 “think different” is by putting it technologically behind.